Pontiff recalls "with gratitude" late Taoiseach’s efforts to promote peace and reconciliation in Ireland. Pope Francis on Monday sent a telegram of condolence expressing his “sadness” on learning of the death of the former Taoiseach Albert Reynolds. 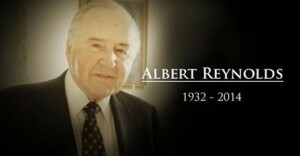 The message was conveyed by Archbishop Diarmuid Martin to Mrs Kathleen Reynolds, her children and family, as well as mourners who attended Mr Reynolds’ funeral in the Church of the Sacred Heart in Donnybrook, Dublin. The message was signed by the Vatican’s Secretary of State, Cardinal Pietro Parolin. At the conclusion of the funeral Mass, which was celebrated by the well-known priest, Fr Brian D’Arcy, a friend of the Reynolds’ family, Archbishop Diarmuid Martin addressed the congregation. 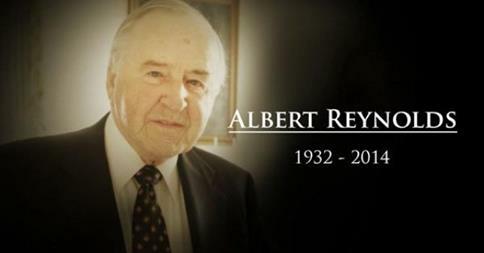 “In his life, in his responsibility for the political and economic destiny of those he was called to serve, Albert Reynolds was responsive and creative and determined in his desire to move forward in the search for peace and for a more just, secure and prosperous society,” the Archbishop said. Mr Reynolds’ remains were afterwards brought to Shanganagh Cemetery in Shankill for burial.